We’ve been really busy here photographing some last minute seniors, class of 2007. I wanted to share a few of the really cool kids I got to meet. Here is Laura – a volleyball goddess, and oh, that red hair! We had a lot of fun in her session! This is Katrina. She is an early grad at age 16 – so smart! And Tracie – she is so cute! The second one is in our new portrait garden. We’re having a super senior sale for the summer! 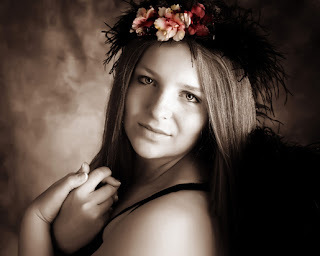 If you are one of the first TEN seniors (class of 2008) from your school to complete your session (June or July only), you will receive your Senior Spirit Album FREE with ANY senior collection. That’s a $300 value – and it’s a REALLY cool book, starring YOU!